Fondly referred to as the ‘Alpine Crown of Europe’, Switzerland has been blessed by breathtaking scenery in abundance. Switzerland tour packages let you savor the beauty of clear azure lakes and the snow-clad Alps like never before. Designed especially for the discerning travelers, these packages include everything to offer you memories of a lifetime. 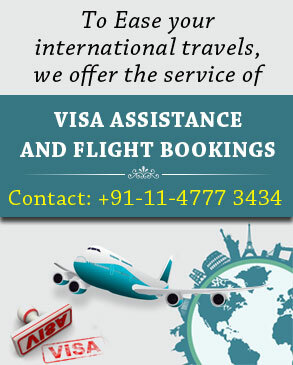 Be it the summer season or the winter season, Switzerland holidays can be planned throughout the year. The old-world charm of the picturesque towns, lakes, museums and mountains is better experienced during the summer months. Whereas in winters, the Swiss Alps with challenging peaks like Jungfrau turn into one of the world’s best skiing destinations. In addition, holidays in Switzerland give you an opportunity to relish the delightful vistas. Furthermore, you can make your trip memorable with an excursion to the wonderful destinations such as Bern, Zürich, Geneva, Lucerne, Interlaken, and so on. Party hard while you delight in the vibrant nightlife. Spice up your holidays by adding a dash of luxury to it. A number of interesting things to do can make your Switzerland trip all the more fascinating. Partake in snowboarding on the snow-covered mountains. Be a part of a number of festivals taking place in the country. Listen to the stories associated with the lakes, valleys and lush vineyards. Enjoying a drink by the riverside bars is an absolute must. Switzerland is a haven for adventure enthusiasts, nature lovers, foodies and travelers of almost all age groups. No doubt, Switzerland vacation reminds you of chocolates, cheese, cows grazing in those verdant pastures and ultimately riding on the Gelmer Funicular. History buffs remain super excited to visit the country for the love of medieval architecture. Give your family a surprise of a lifetime by booking a Switzerland tour from India. The well-planned journey takes you to a delightful paradise bestowed with a multitude of cultural attractions. Additionally, indulging in several activities can keep the entire family on toes. Also, planning a Switzerland honeymoon is an overwhelming experience. The postcard-perfect locations and astounding landscape spark the love between you two. Choose off-beat traveling and besides enjoying some romantic moments in privacy, you get to cherish a number of surprises offered by the country. Travel to any fantastic destination ideal for the honeymooners and create your own love story like the one featured in the movies. Take your pick now from our Switzerland Travel Packages! Rejoice in the moments you have been always dreaming of! The country makes you happy in every sense.